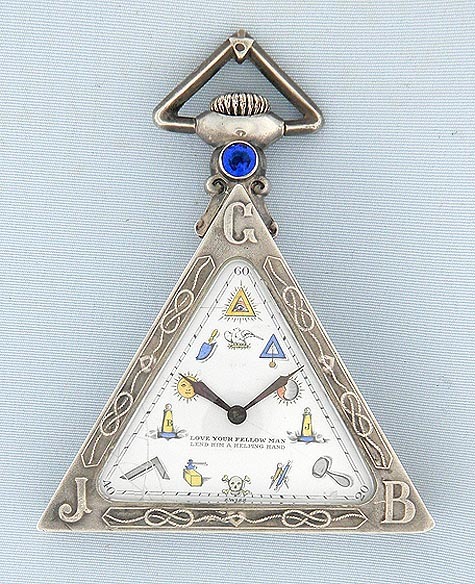 Attractive Swiss silver triangular Masonic antique pocket watch by Tempor, Geneva, circa 1930. 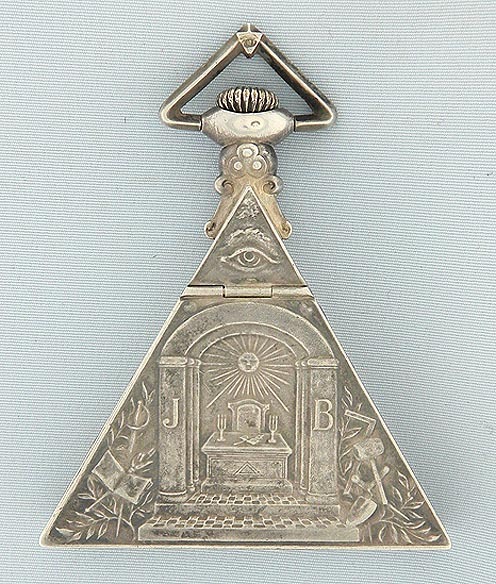 The triangular .800 silver case decorated overall with Masonic symbols. The attractive enamel dial (numerous cracks) with polychrome Masonic symbols in place of numerals. Blued steel hands. 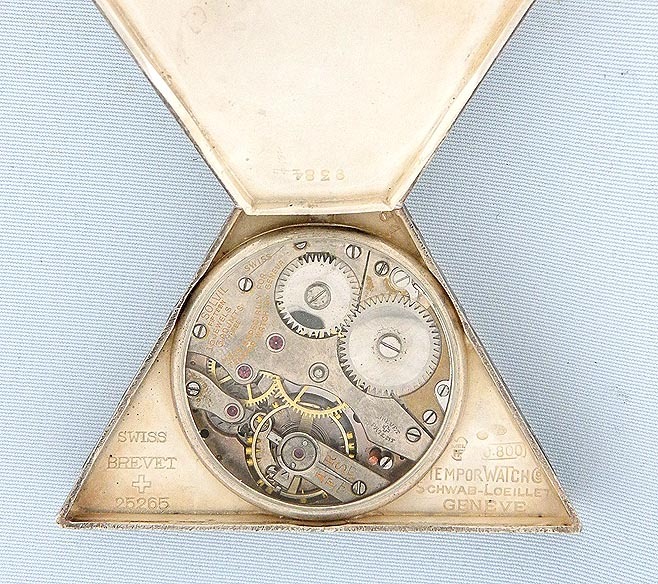 Nickel 15 jewel 3 adjustment movement protected by a crystal.